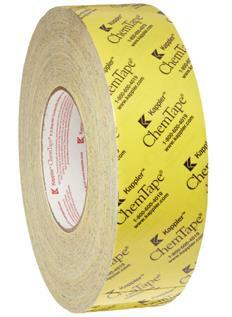 ChemTape is Kappler's patented chemical-resistant tape designed specifically for protective apparel. Provides added assurance for taping around gloves, boots, respirators and storm flaps, plus shelter-in-place applications. Rolls are 2" x 60yd and come 24/case.